The Ambient & Atmospheres Soundset, containing 144 Single-Programs, has been created especially for the needs of electronic music producers who are working in the field of ambient music, electro, chill out, trance, experimental or film scoring. It was programmed by Christian Halten, who is also responsible for the atmospheric DEEP SPACE and OFF SPACE DVDs. 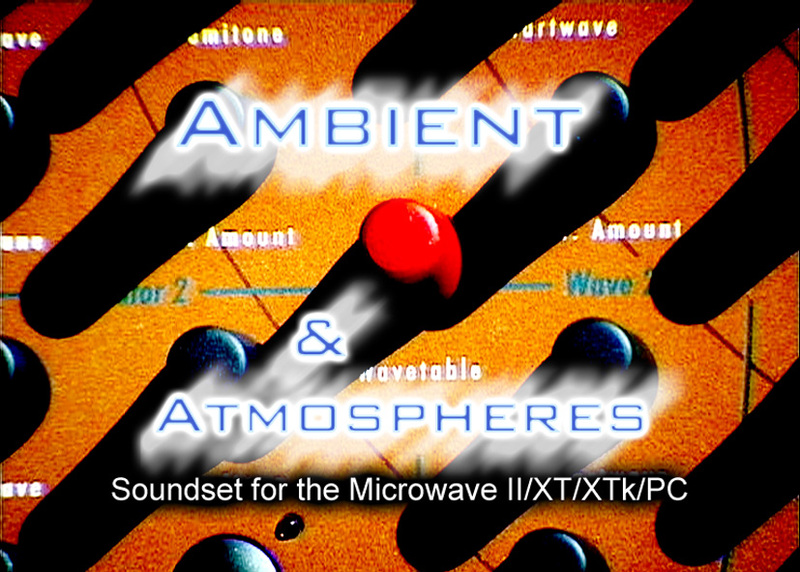 This Soundset shows even more that the Microwave II / XT / XTk / PC range is useful for any kind of music in need of electronic sounds. Load this Soundset into your Microwave II / XT / XTk / PC and let the machine turn into a fantastic tool for creating rich film soundtracks and ambient textures. Lots of extraordinary sound effects are also included. Join the living atmospheres and modulate all sounds dramatically in many ways like on no other synthesizer. The Soundset utilizes all filter, Wavetable, arpeggio, effect and modulation capabilities of the Microwave to produce rich and complex sounds. You can modulate all programs immediately with keyboard controllers like Modwheel, Pitchbend and Aftertouch. Expand your Microwave II / XT / XTk / PC with a great variation of sounds and programs and get ready for the one thing Waldorf designed the Microwave II-Series for: Making Music! This product was added to our catalog on Monday 14 November, 2005.